On January 10th, 2017, Cops For Kids With Cancer made a donation to the family of 7 year-old, Allison Landero-Gutierrez, from Hyde Park. Captain Maura Flynn (Boston PD ret.) and Captain Paul Ivens (Boston PD ret.) 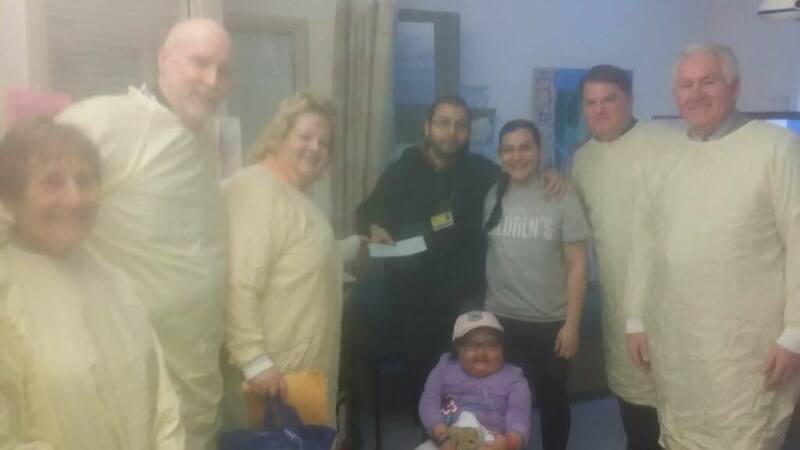 of CFKWC, made the donation to Allison, who was diagnosed with ALL (Leukemia). Captain Joe Gillespie, Boston PD, from the E-18 Hyde Park Station was on hand to assist the family with this donation.